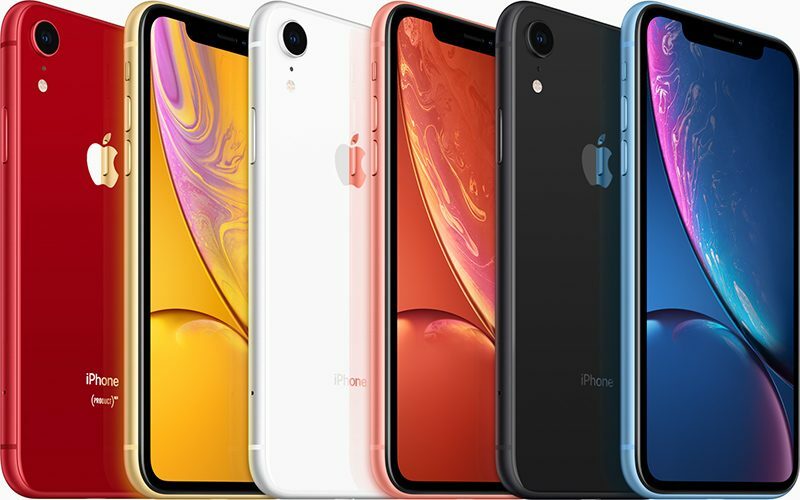 Those prices are more affordable than the iPhone XR from Apple's own online store, where the device is priced starting at 6499 yuan ($958). According to Feng, data sourced from Alibaba suggests that iPhone sales on the site have increased by 76 percent in China since January 13. Suning, meanwhile, saw Apple traffic and sales "explode" with the iPhone 8, 8 Plus, and XR in particular seeing purchase boosts. Apple sales from Suning have increased by 83 percent since January 11. Earlier this week, Apple CEO Tim Cook said that Apple is reevaluating its pricing strategies in some international markets, returning to pricing that's "more commensurate" with what local prices were last year to boost its iPhone sales. Cook also said that he does believe Apple's higher prices were a factor in the declining number of iPhone upgrades that led to a weaker holiday quarter. In some international markets, the strength of the U.S. dollar amplified pricing increases. Apple is expecting revenue of $55 to $59 billion in the second fiscal quarter of 2019 (first calendar quarter), which is below the $61.1 billion in revenue Apple earned in the second fiscal quarter of 2018. It's not clear if the pricing changes in China and other international markets will be a big enough boost to pull Apple out of its slump going forward, but for the first part of the year, Apple is still expecting lower iPhone sales. Maybe they actually raised the prices, and that's why sales are improving. Why would people would be more likely to buy a phone selling for less? It’s the cost, Tim! It’s the cost! To all you Tim lovers who believe the man is infallible, this is a pretty obvious mistake. I agree that hindsite is 20/20, but this isn’t exactly rocket science. It’s pretty obvious to most long time Apple consumers who were used to the Apple premium that the value was not there anymore. Just think how much revenue he lost Apple. Do Angela and Tim still deserve their bonuses? All I needed to do was look at the price vs the product to make that determination. No trends, no graph, just common sense. Hopefully apple can raise prices a bit more in the US to offset it. Crazy concept! Hope this gets implemented in the US market. for the purpose of subsidizing the needs of self-entitled millennials? Buy the phone you can afford. It's not a constitutional right to own any phone you want. Maybe if Apple cuts the price on the XS Max replacement in 2019 for Canada, I might actually buy one. Cuz I skipped it in 2018. Price way too high for a more-than-64-GB model. And no, it doesn't have to be 256 GB. 128 GB is enough for me, but 64 GB is not. The price premium for the more-than-64-GB 2018 XS Max over the more-than-64-GB 2018 XR is 56%. That's just ludicrous, considering the XR is not an inexpensive phone to begin with. If Apple doesn't cut the prices this year in North America, I'll probably just keep my 7 Plus another year and then weigh my options again in 2020. Also I’m not sure what entitlement has to with adjusting prices based on the market. Sales wise they still did pretty well but there is also the fact that people are keeping phones for longer and the real world usage difference for a lot of people between lower and upper end devices is not as stark as it was many years ago. The overall market is starting to stagnate so with all that, the current pricing is isn’t helping as either.